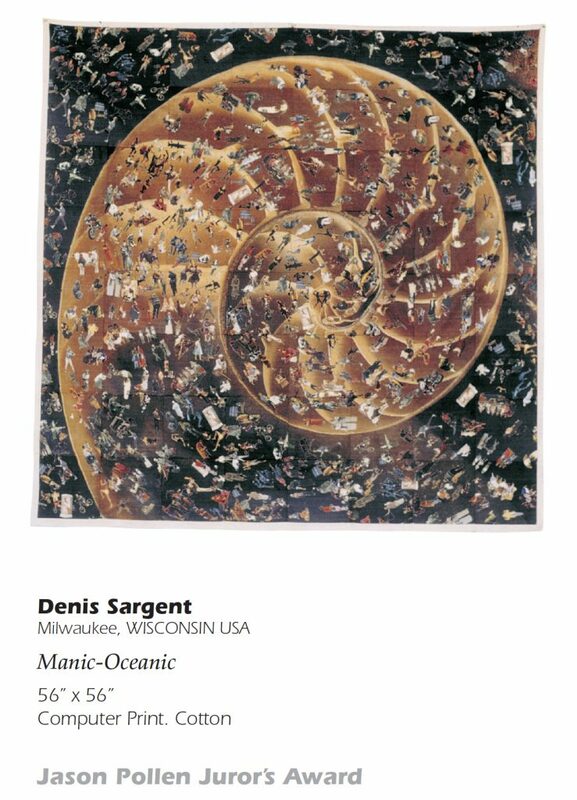 Starting in 1999 there were two samples, Denis Sargent with a digital print. Clare Verstegen used digital photography to make her silkscreen. 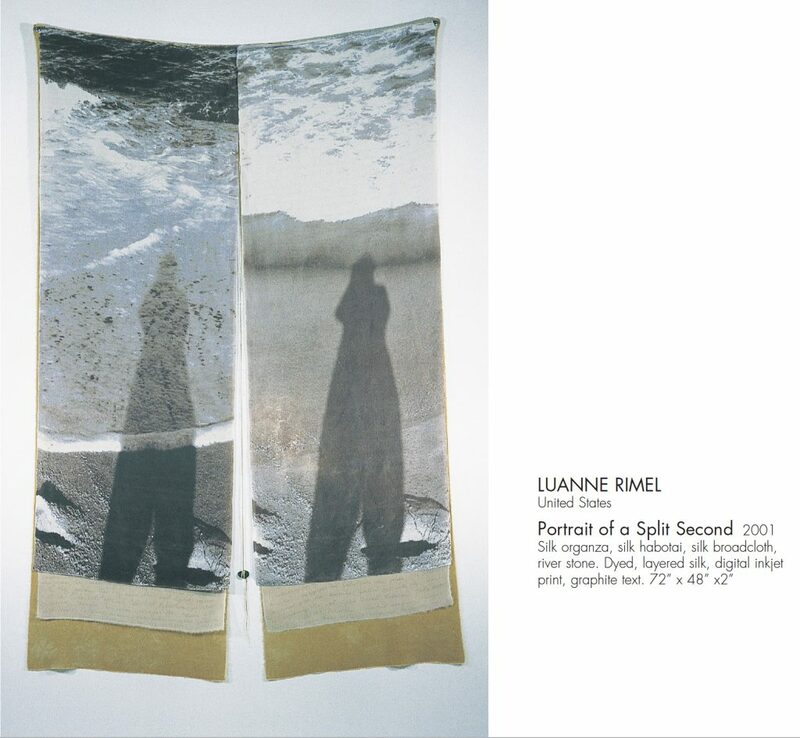 In 2001 Luanne Rimel used inkjet printing on silk. 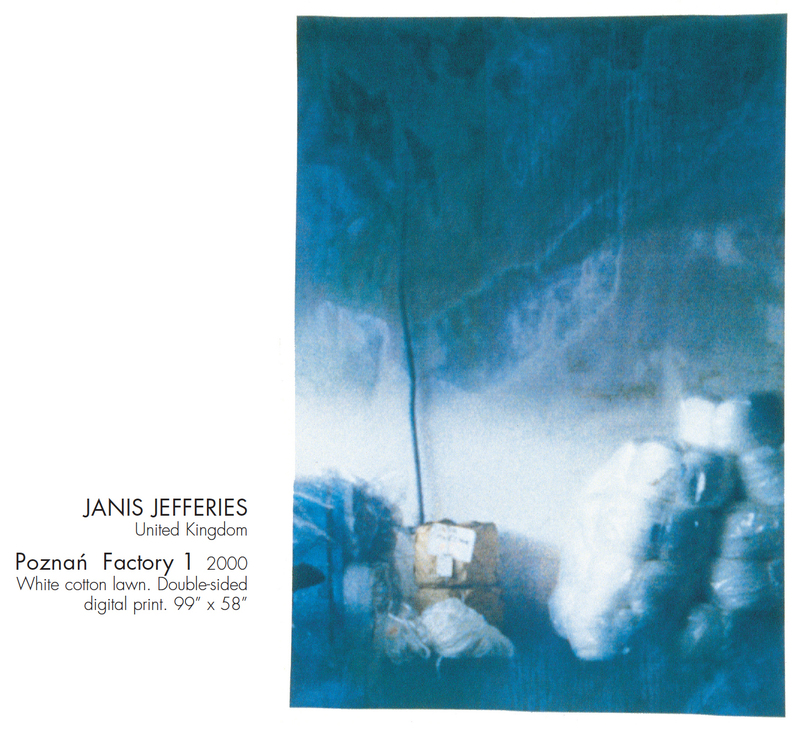 Janis Jeffries printed hers on cotton. 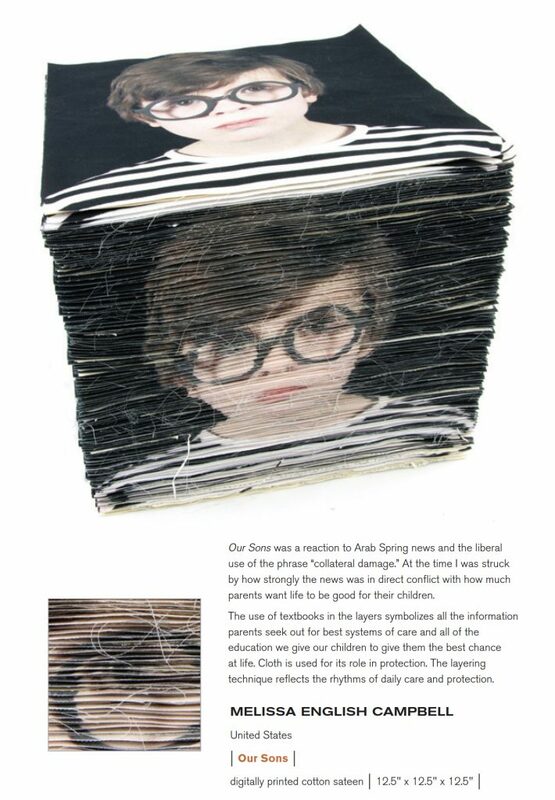 In 2004 there where also just two instances of digital printing. Gina Alvarez hand digitally printed cotton fabric. 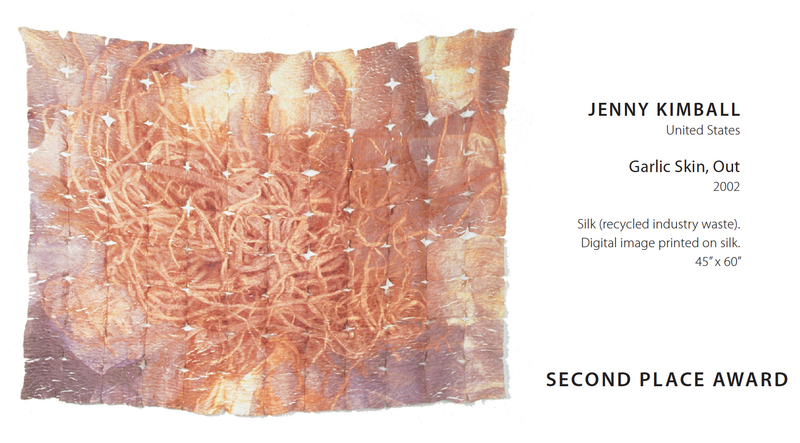 Jenny Kimball, digitally printed on silk. 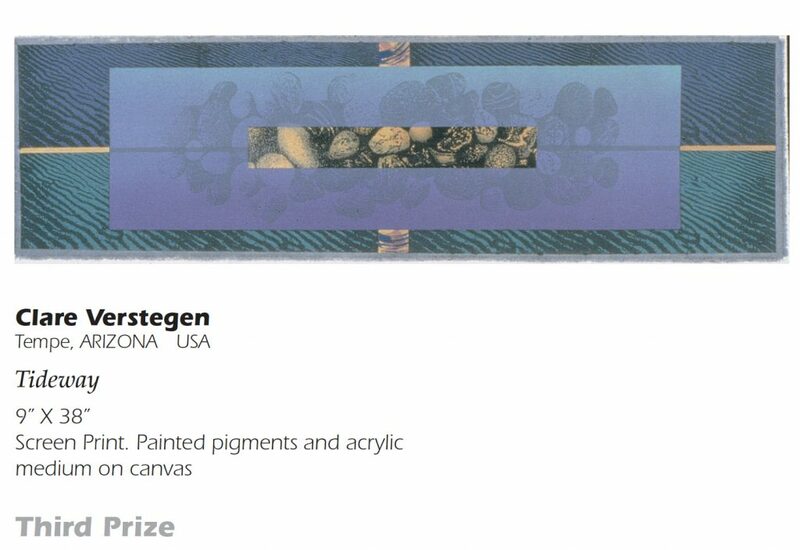 In 2007 Heather Allen Swarttouw silk-screened and dyed fabrics. 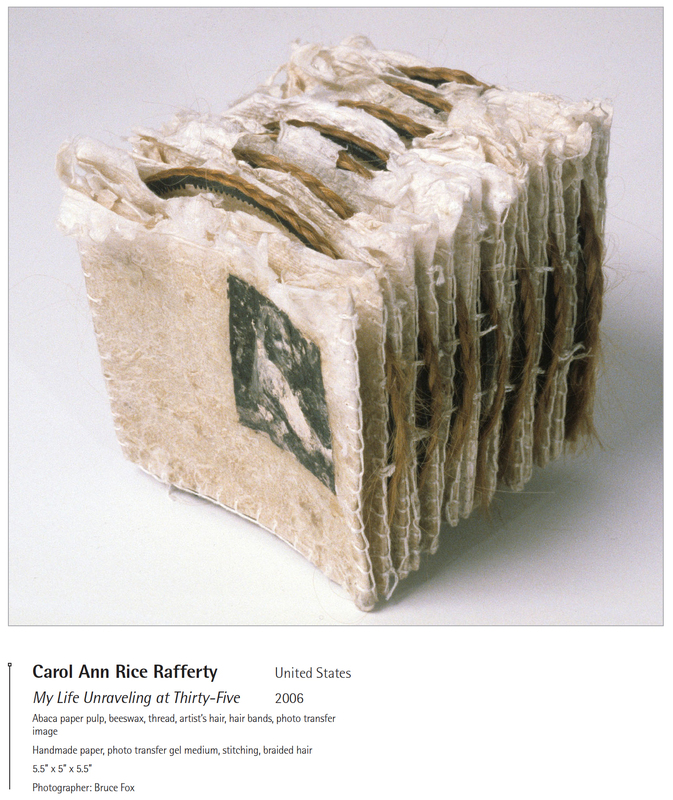 Carol Ann Rice Rafferty used photo transfer. 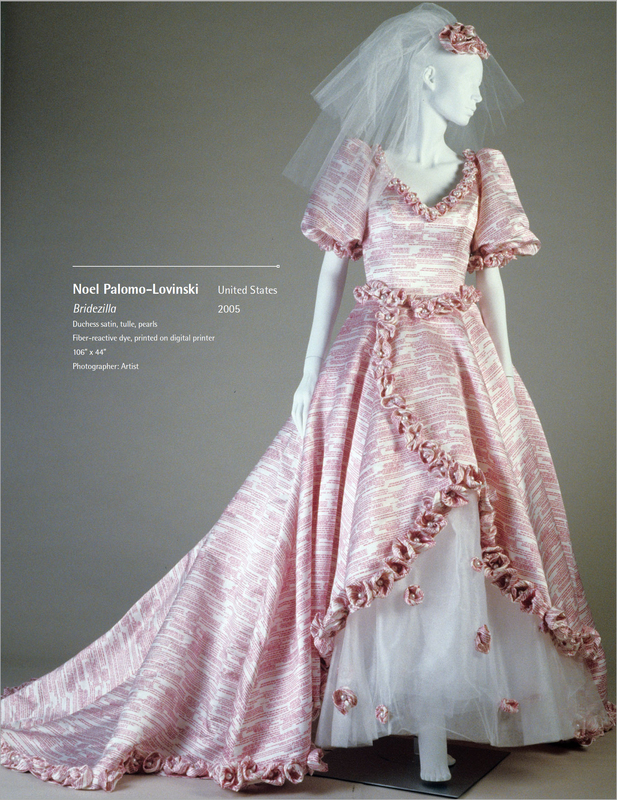 Noel Palomo-Lovinski printed the writings on the fabric used to construct the dress. 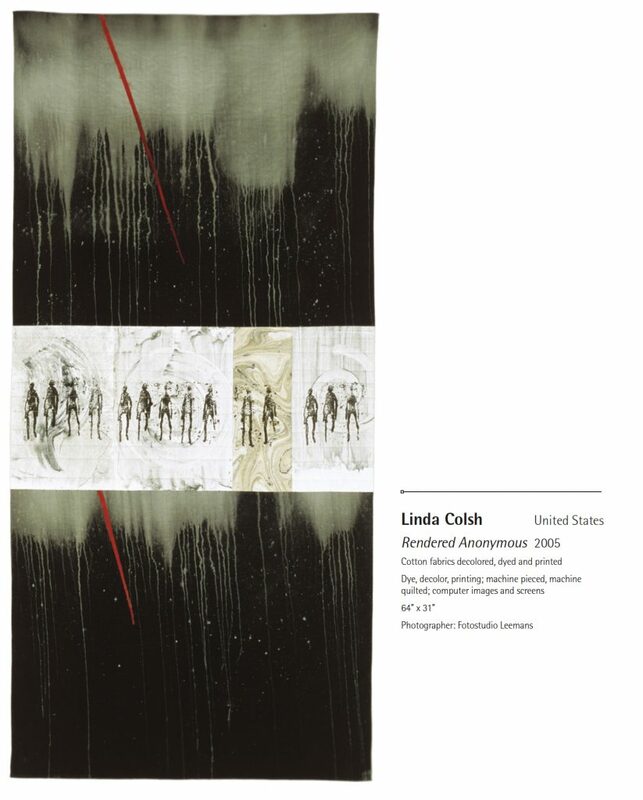 Linda Colsh printed bodies for the central section of her piece. 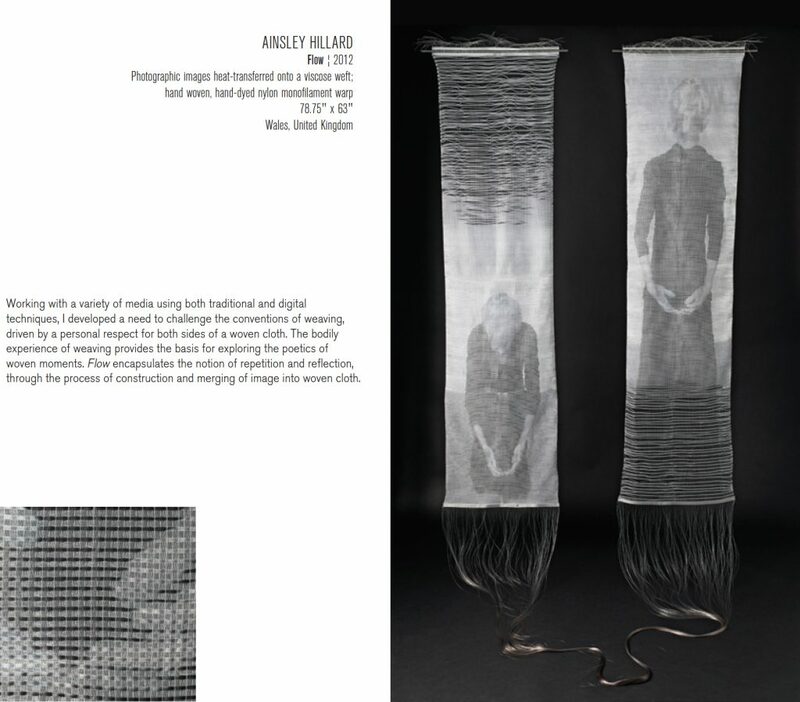 In 2010 there were twelve artists using digital techniques. Hitoshi Ujie used inkjet printing for his piece. 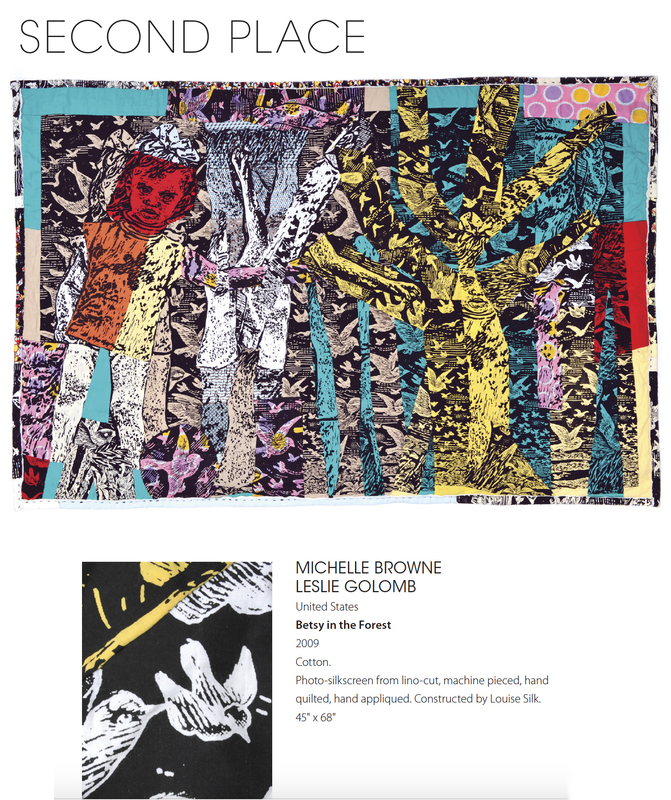 Michelle Browne and Leslie Golomb used a photo-silkscreen technique. 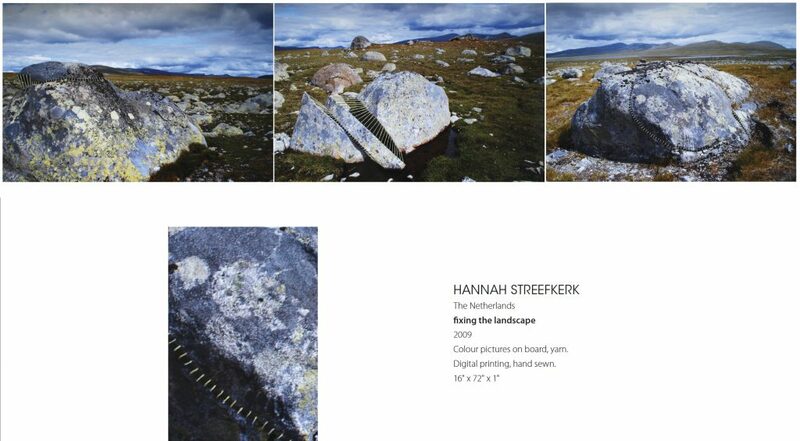 Hanna Streefkerk embroidered digital photography on board. Kelly Thompson used a combination of digital print and jacquard weaving. 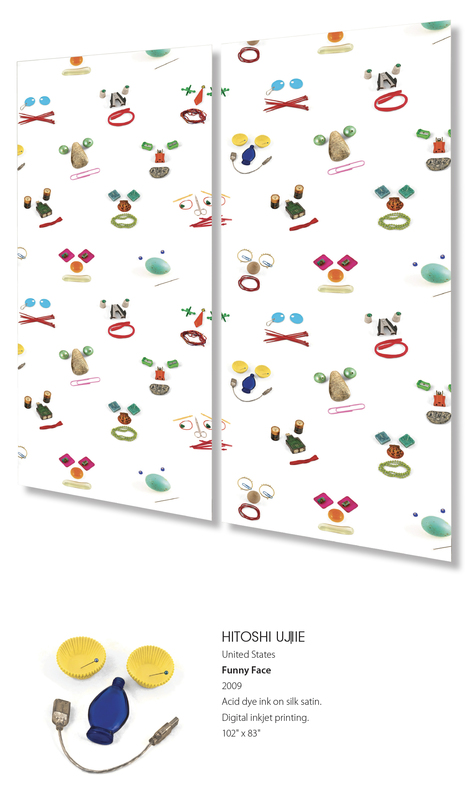 Then in 2013 digital techniques appeared again by nine artists. 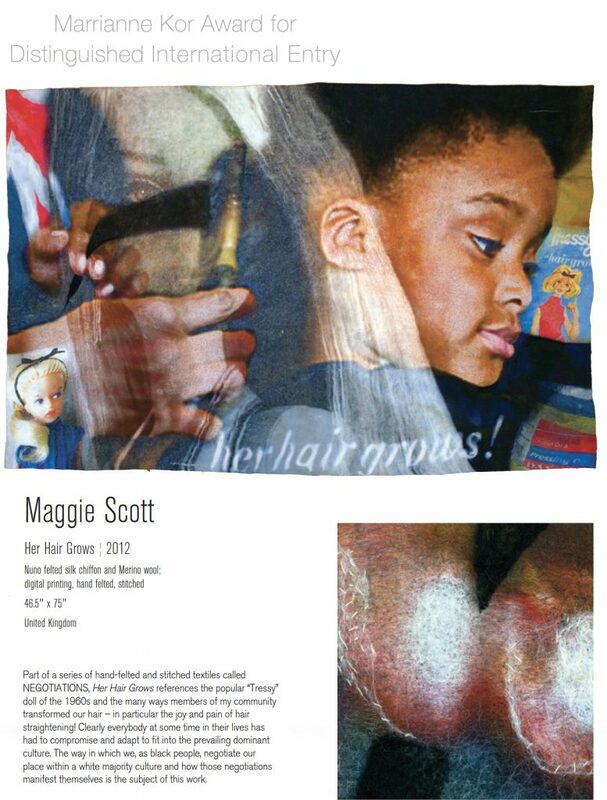 Maggie Scott combined digital printing with Nuno felting. Aran Illingworth used digital printing on fabric as a background for applique. 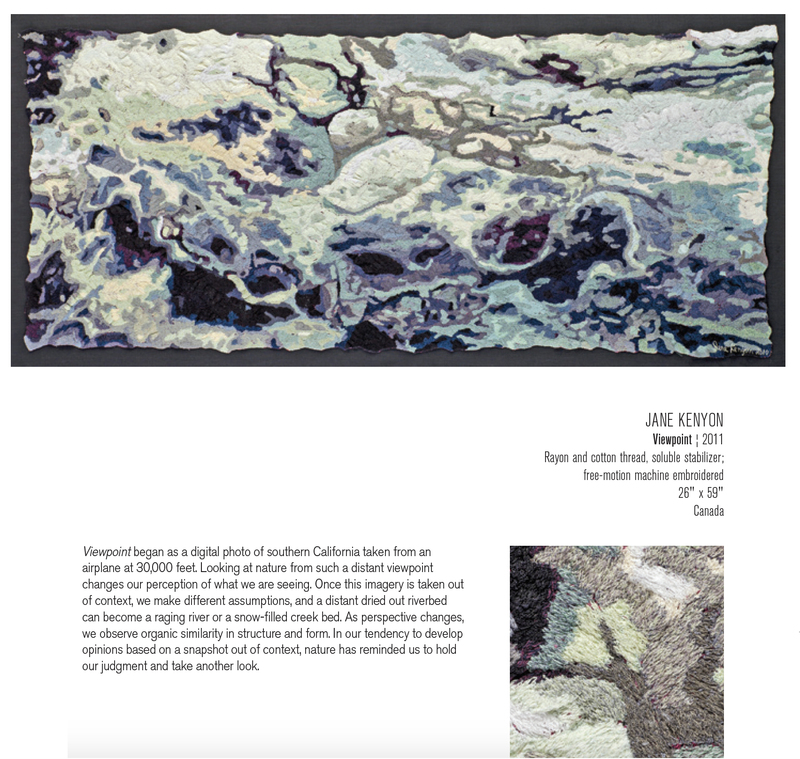 Jane Kenyon used machine embroidery on a digital image base. There were also several samples of digital weaving techniques. 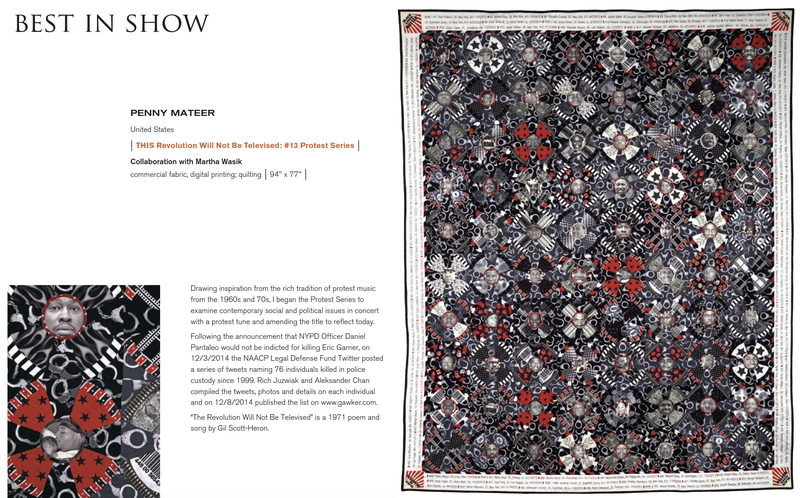 Particia Mink explores digital weaving and printing techniques, using inkjet printing on a damask weaving. 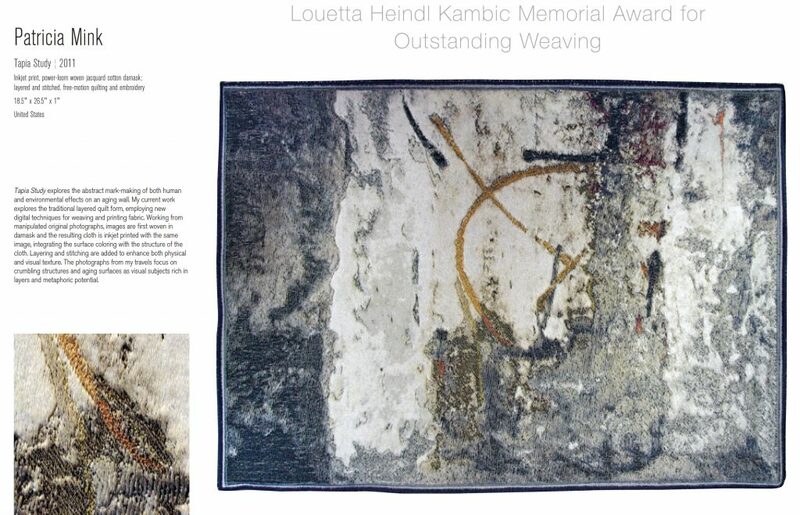 Ainsley Hillard used a heat transfer of a digital image onto viscose weaving. 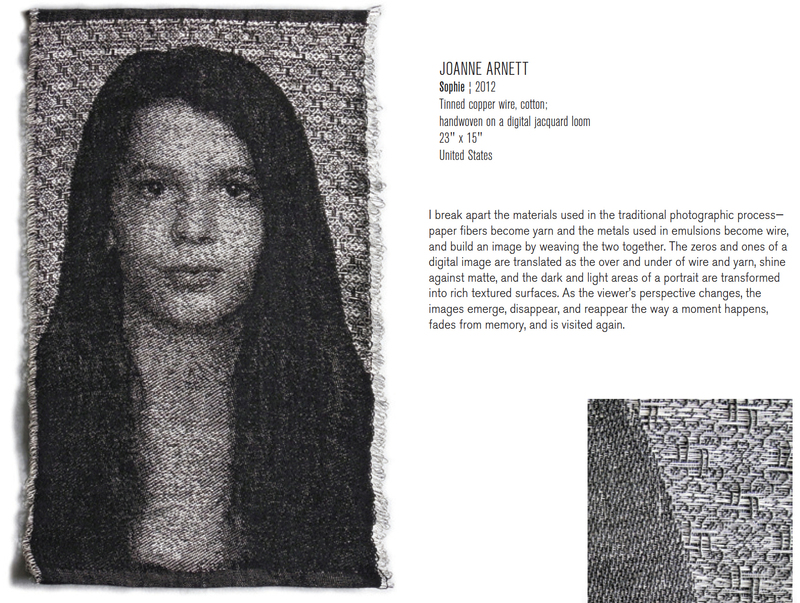 Joanne Arnet used copper and cotton on her jacquard woven portrait. 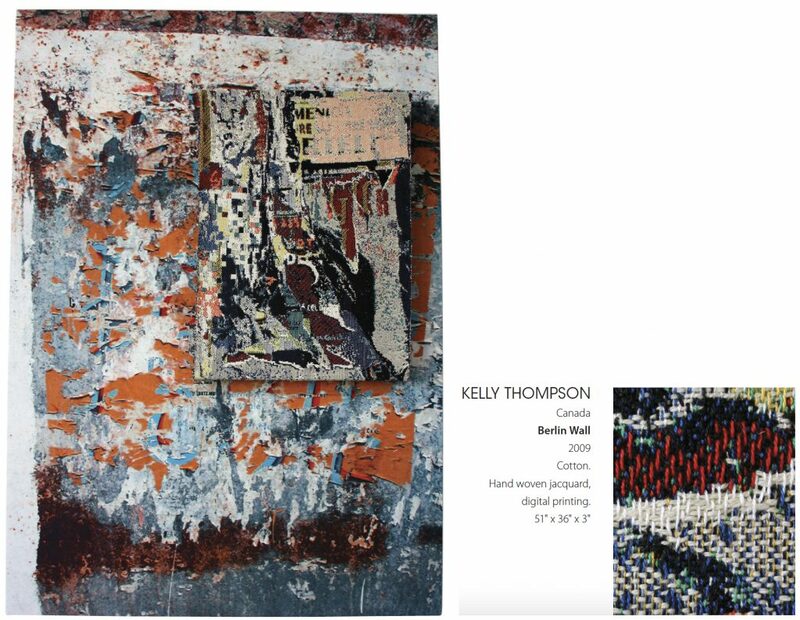 Skipping ahead to 2016 we had eight artists that all used some form of digital technique. Artists Penny Mateer and Martha Wasik printed digital photos and text to create their piece. 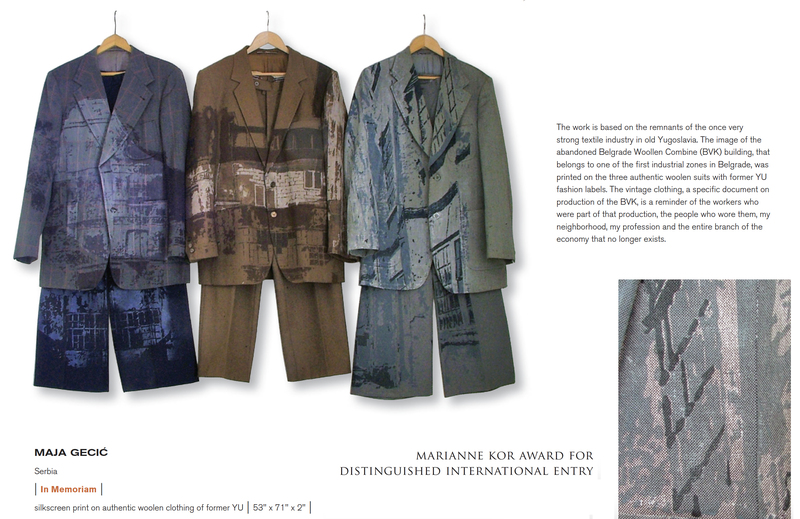 Maja Gecic used silkscreen on clothing. 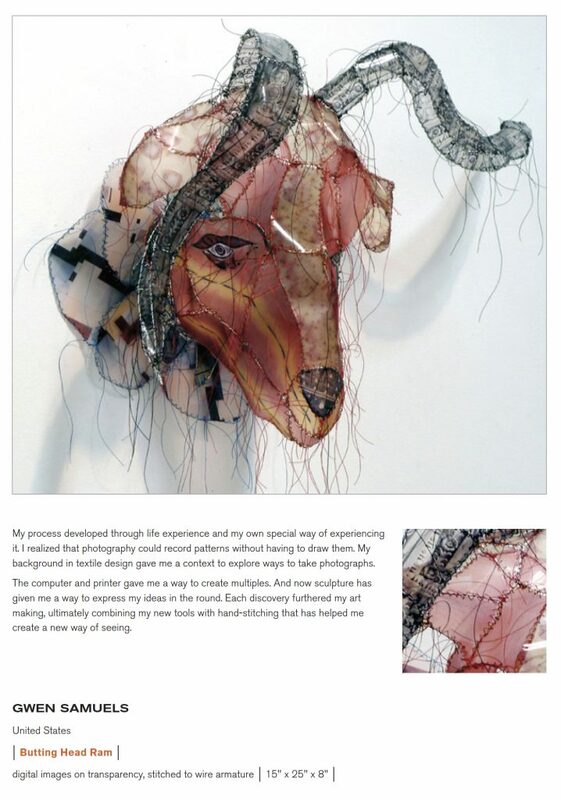 Gwen Samuels printed on transparencies to create this three dimensional piece. Patricia Kenney-Zafred silkscreens are used to tell a story. 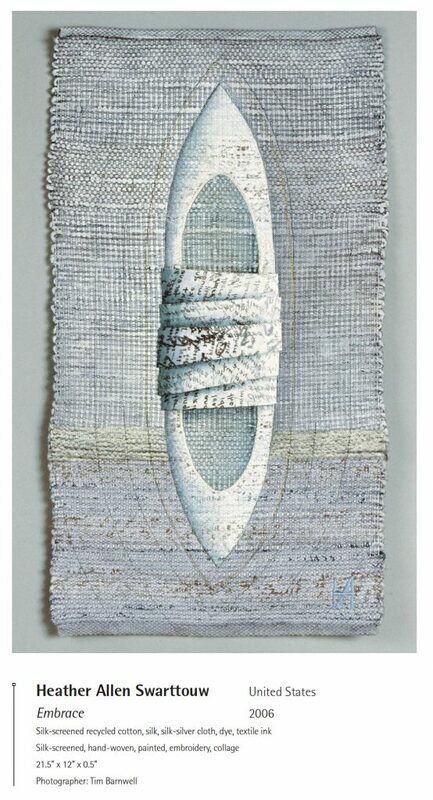 Melissa English Campbell printed on a three-dimensional object. 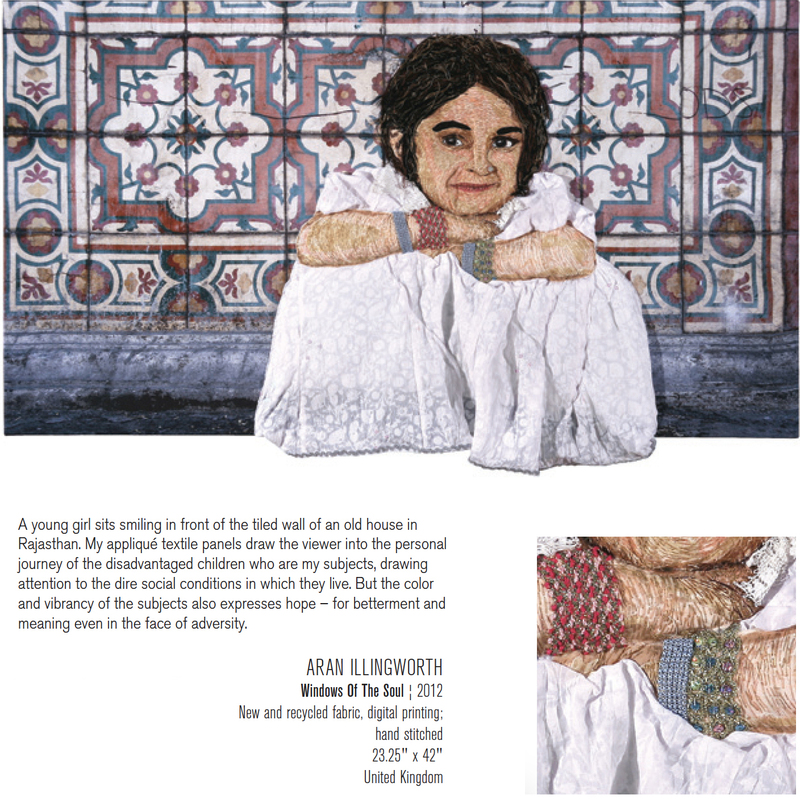 Undoubtedly the development of digital printing techniques and facilities was a factor for the variety of uses of digital techniques. But there is so much more than technology. 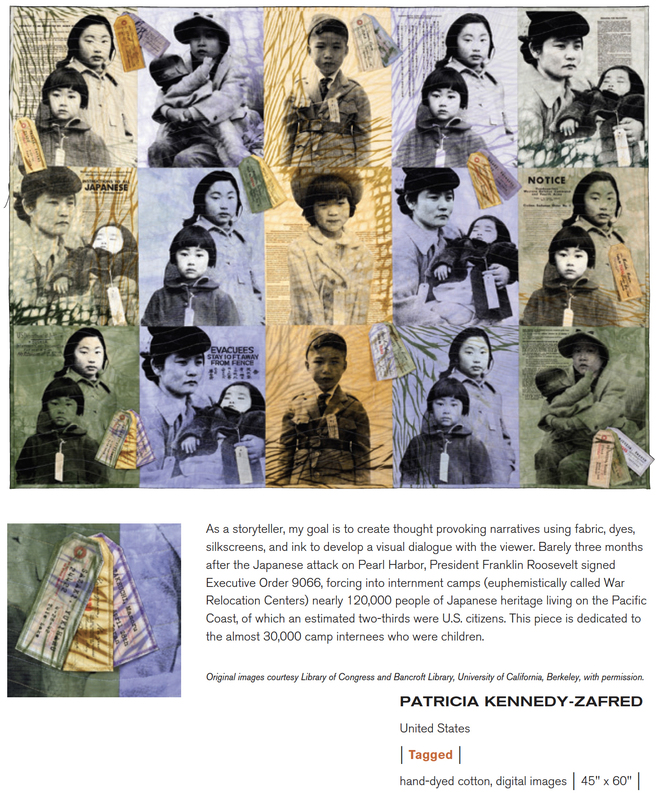 More so called “traditional” techniques such as dyeing, collaging, stitching, quilting, embroidering still abound. More about that in my next post.